1. Perfect for for any kind of themed party, carnival, night camping, rave party, Halloween and Christmas. 2. Necklace are made of soft stretchable materials that are safe to play. 3. 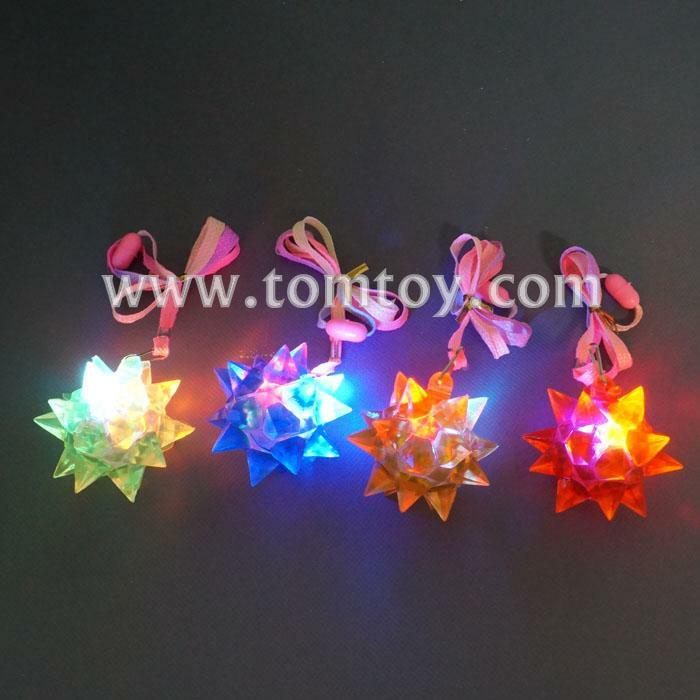 Comes in different colors - Green, Red, Yellow and Blue, and with blinking LED to light up all night long. 4. Easy to operate by pressing the switch inside the jelly pendant to turn the light on and off. 5. Batteries are included and installed. Great as party favors, vending items, or giveaways.